University campuses up and down the country are looking rather bare at the moment, but at the end of the month the students will descend once again, moving into halls of residence and shared houses or flats. This important rite of passage into adulthood is seen as a means of teaching young adults domestic skills. However, Holton’s (2016) paper in the most recent issue of Area suggests that shared student accommodation is perhaps not the best environment in which these skills can be learnt, providing some thought-provoking findings that may be of interest to students this autumn as they prepare to move. There are subtle differences between ‘house’ and ‘home’, although we almost invariably use them interchangeably. In general, a house is simply a building, a space which is bought, occupied, and sold. Its foundations make it a permanent space, but its use is transient and ever-changing. A home, then, is more than just bricks and mortar; it is a house with meaning, a space in which we can express identity, a tool for fashioning familial relationships, and a means of fostering a sense of belonging. Houses become homes when they become lived spaces, spaces which define us and mean something to us. That is what makes a house a home. With this definition in mind, then, students moving away to university leave their homes and move into houses (or flats). This, as Holton’s (2016) work suggests, raises the question; can students really call their student house a ‘home’? He considers the micro-scale geographies of student interactions in shared accommodation, interactions which are spatially mediated. Shared student houses, he argues, are dynamic spaces in which multiple, fragmented identities are performed and different versions of ‘home’ are embodied. 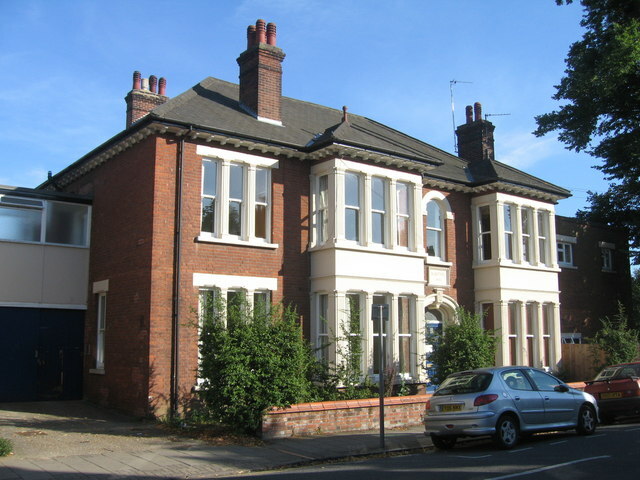 In moving into shared accommodation, students are thrown into hybridised spaces, very different to their home environments. They try to make their new abode a ‘home from home’, taking with them things from their home life; a few photographs, clothes, and books, but also, more importantly, Holton (2016) contends, taking preconceptions of how ‘home’ should be lived. All of a sudden, the ways in which they behaved in various spaces at home are challenged in the new environment of student accommodation. In their new residence, students have to renegotiate their time-space routines, changing the ways in which they use space, the habits that they have acquired, and the norms in which they believe. With each student having their own individualised behavioural norms, house-sharing inevitably involves compromise. Whilst a lot of students who live together get on like a house on fire, tensions arise when conflicting norms clash and compromise is unheeded. Such tension, Holton (2016) identifies, is spatialised, arguments invariably being caused by the (mis-)use of space; leaving dirty dishes on the kitchen side, not taking the bins out, or being inconsiderate and noisy whilst others are studying. These are just a few clichéd examples, the point being that space has an important role to play in student relationships. Appropriate behaviour is judged based on its spatial location, variously deemed ‘in place’ or ‘out of place’. For instance, it may be acceptable to be untidy in your bedroom, but, relocate this behaviour to the living room, and it becomes a misdemeanour. Thus, in student accommodation, it is the shared spaces in which most problems occur. Holton (2016) refers to these spaces as ’24-hour spaces’, flexible and communal, facilitating constant interaction and socialisation. In the lounge, for instance, students watch TV, play video games, drink, and chat. In the kitchen, they may cook or eat together and, when hosting house parties, the whole house can become a space for social interaction and general merriment. These shared spaces are a contrast to the relative privacy of students’ bedrooms; very individual spaces. Bedrooms become personalised with posters, photographs, and other keepsakes reminding students of home, but they also personalise these spaces with their behaviour, the only space in which they can do as they please. Nonetheless, this is all within reason, an inconsiderate use of these personal spaces also causing many arguments in student houses, where walls are thin and noise can travel. So how do students resolve the conflicts that seem so inevitable? It is quite possible that the reason behind students being untidy and inconsiderate is not that they behave like that at home but, rather, because in their shared accommodation there is no authority figure to map out and implement domestic norms. Thus, Holton (2016) identifies that some student houses create house rules or rotas, in an attempt to keep order. In other student houses, Holton (2016) states, students adopt almost familial roles, some becoming ‘parents’ in order to enforce behavioural norms, in the formation of an albeit fragile hierarchy. Other houses still may resort to, what Holton (2016) has termed, ‘boundary-making’, students locking themselves away in their rooms and dodging shared spaces to avoid confrontation. The student house, then, is a complex space, simultaneously facilitating and thwarting social interaction through the use of space within it. It is, thus, a halfway house, not quite home, but more complicated than most houses. Holton’s (2016) article hammers home just how vital compromise is to inter-student relationships. Thus, whilst not a true reflection of domestic life, living in shared accommodation teaches some very important life-lessons of its own. Holton M 2016 Living together in student accommodation: performances, boundaries and homemaking Area 48 57-63. This entry was posted in Area and tagged Home, House, housing, Lived spaces, space, Spatial behaviour, Student accommodation, students, Time-space, university on September 12, 2016 by k8amongthepigeons. In early May 2014, the Bank of England issued a warning: the increase in gross mortgage lending combined with a rise in UK housing prices place the country’s financial stability under serious threat. Indeed, the running figure for mortgage debt in the UK is alarming, sitting at over £1 trillion, as mortgage lending only continues to expand. But the UK is not alone. While data from the European Mortgage Federation from 2014 reported the ratio of outstanding residential loans to disposable income for the UK at 116.4%, this figure was even higher in other advanced European economies: 237.4% in Denmark; 197,3% in the Netherlands; and 135% in Sweden. At the aftermath of the US subprime mortgage crisis, the risk that escalating mortgage debt poses on the global economy has received increasing attention. However, the risk at the household level – the ‘lived’ dimension of the financialisation of housing – remains largely off the radar of both academic research and policy making (with a few notable exceptions like Desmond 2012). 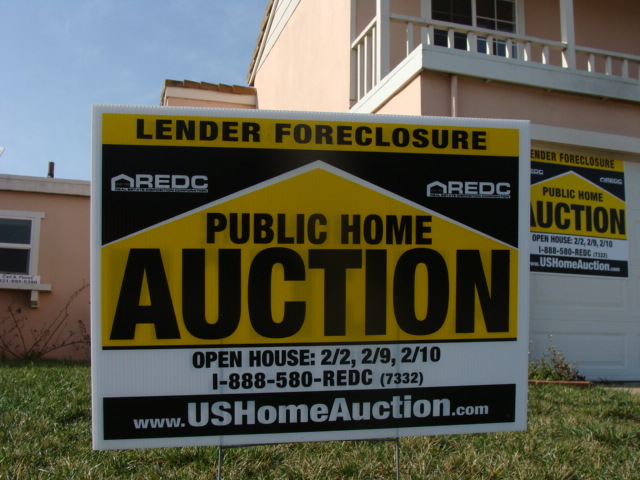 In our recent paper titled “Mortgaged lives”*: the biopolitics of debt and housing financialisation, we consider mortgages as a tool that engineers an intimate relationship between global financial markets, and the bodies and lives of the workforce. Drawing upon ethnographic research and in-depth interviews with people affected by mortgage debt defaults in Spain, we show how mortgage contracts connect not only a person’s current and future income into global speculative financial strategies, but also tie the practices of everyday life into the very heart of financial markets. In other words, as housing becomes financialised, so does life itself. This process affects not only access to housing, but also the ability to care for oneself and others, perceptions of self-esteem, social status, class, citizenship and belonging in society. By linking the changes in macro-economic processes that made mortgage credit broadly available to the experience of living a “Mortgaged Life”, our work explains how interest rates, the fluctuation of real estate prices and currency exchange rates became factors determining not only access to housing, but the very conditions and (im)possibilities of life. It shows how people begin to realise that they had never really been homeowners or middle class. Just a proletariat indebted for life to their creditors. As the impact of mortgage debt defaults cuts across borders, educational, income, status, gender and age groups, there is urgent need to focus beyond the macro-economics of mortgage lending and into their personal, family, health and community impacts. This is of particular importance as products like 100% mortgages are reappearing on the market in the UK, and mortgaged homeownership continues to extend across the world as an increasingly common way to access housing. For the time being, a continuous rise in housing prices, relative economic stability, low interest rates and relatively low unemployment keep mortgage defaults at bay in the European north. However, the combination of escalating housing prices, rock-bottom interest rates and extensive mortgage lending is a potentially explosive mixture not only financially, but also socially. Our paper seeks to highlight this reality, and to call for deeper attention and action. *The paper (and blog post) borrows its title from the title of Ada Colau and Adrià Alemany’s (2012) book Mortgaged lives: From the housing bubble to the right to housing. About the authors: Melissa García-Lamarca is a PhD candidate in Human Geography at the University of Manchester and María Kaika is Professor of Human Geography at the same university. This entry was posted in Transactions of the Institute of British Geographers and tagged crises, financialisation, housing, mortgages, real estate, Spain on June 15, 2016 by RGS-IBG Managing Editor: Academic Publications. Looking back over past centuries, Norway, as with many other countries, has long experienced major river flood catastrophes. Several hundred died along the Gaula River in 1345. In eastern Norway in 1789, flooding killed over 70 people. Fortunately, river flood deaths have been rarer in contemporary times though threats are still frequent. Most problems are property disruption and damage. Part of the reason is that we own more to be damaged. Part of the reason is Norway’s tradition of managing rivers by relying on walls–dams, levees, and dikes. When (not if) a wall’s flood design limit is exceeded, the land behind it floods. People are unprepared because they thought that they would be protected. Instead of forcibly separating people and water, why not let floodplains–called that for a reason–do their job? Let rivers behave as rivers, spreading out when it rains or when the snow melts. Use walls occasionally or as a part of flood risk reduction, but don’t rely on them for everything. 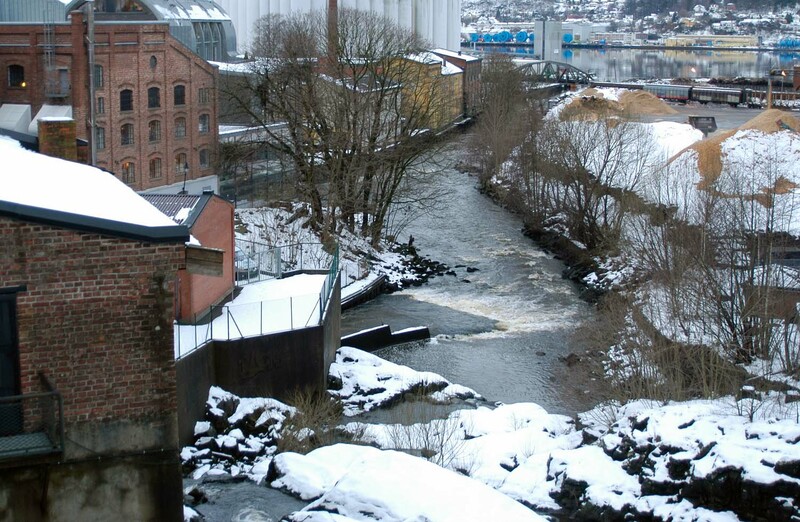 River floods are part of Norway’s environment. They are a natural process. When humans get in the way of floods, then disasters happen. We can stop disasters by permitting floods. The author: Dr. Ilan Kelman is Senior Research Fellow, Center for International Climate and Environmental Research – Oslo (CICERO). This entry was posted in Area and tagged Climatology, Cultural Geography, Engineering, Environment and Society, floodplains, floods, Global Issues, housing, Hydrology and Water Resources, natural disasters, risk, Social Geography, Urban Geography, Urban planning on January 27, 2012 by RGS-IBG Managing Editor: Academic Publications. As the first term of the UK’s current academic year draws to an end, the Royal Geographical Society (with IBG) Annual Conference of August and September already seems a long time ago – in fact, planning for next year’s conference in July is well underway. Those who attended will remember a wide range of papers and presenters sharing their research under the theme of ‘Geographical Imagination’. Several of the research projects behind these presentations also made the news, showing how geographical research informs wider debates, including Tom Hargreave’s work on smart energy meters, Jon Anderson’s research on surfing and coastal conservation and Jenny Pickerill on the short-comings of ‘eco-bling’. The Transactions of the Institute of British Geographers journal offers another window onto the geographical imagination with its Virtual Issue guest edited by the conference chair, Stephen Daniels (University of Nottingham). This brings together papers – still free to access online at the time of writing – published across the history of the journal and shows how the concept of a geographical imagination can provide a new way of understanding places, how we think about them and how we represent them through our writing and maps. Our understanding of the world around us is always influenced by our imagination, not just when we dream or write stories, and our imagination is equally fed by everything we see and do – reading the news, attending lectures or going on holiday. Daniels, S. ed. 2011. Virtual Issue on The Geographical Imagination. Transactions of the Institute of British Geographers. Dr. Jon Anderson’s Spatial Manifesto website with audio and visual media coverage from the BBC. Royal Geographical Society (with IBG) Annual International Conference. This entry was posted in Transactions of the Institute of British Geographers and tagged Biogeography, Climatology, coastal development, conference, Cultural Geography, energy, geography, Global Issues, housing, imagination, public awareness, Representation, research, writing on December 14, 2011 by RGS-IBG Managing Editor: Academic Publications.